The Oppo R15x Price starts at 2,499 Chinese yuan (approx Rs. 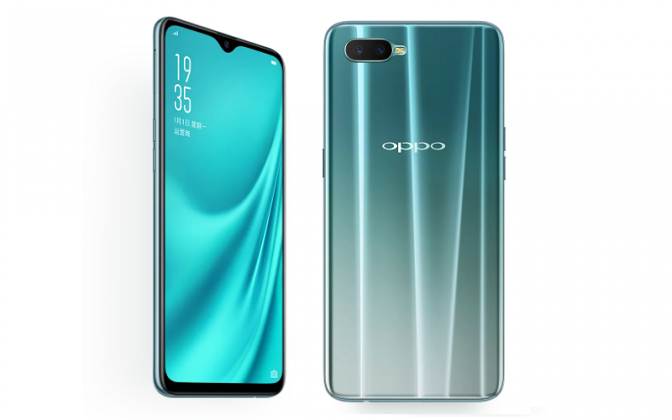 26,400) for the 6GB RAM + 128GB storage option, Oppo R15x has been made available in Nebula and Ice Blue colors. with the 6GB and 8GB RAM variants to go on sale on November 1. Coming to specifications, the dual-SIM (Nano) Oppo R15x runs on Android 8.1 Oreo based on ColorOs 5.2. It features a 6.4-inch (2340x1080 pixels) Full HD + AMOLED 19.5:9 2.5D curved glass display. It is equipped with a 91 percent screen to body ratio. Oppo R15x has a protection of Corning Gorilla Glass 5. it is powered by a Qualcomm Snapdragon 660 processor paired with Adreno 512 GPU. Oppo R15x has 6 GB RAM and 128 GB of storage. Talk about camera setup, The primary camera is 16 megapixels and the secondary depth camera is 2 megapixels. Users will be able to take the portrait shot from this setup. The front-facing camera is 25-megapixel for a selfie and it's equipped with AI. Oppo R15x has a 3,600mAh battery. Oppo R15x comes with an in-display fingerprint sensor.